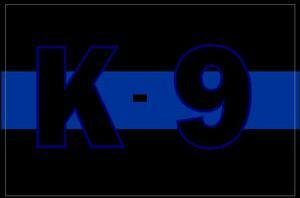 Minnesota K-9 Solutions was founded by a former police officer, K-9 Handler and Trainer with the mission to provide citizens, institutions, and law enforcement agencies with German Shepherd Dogs bred to be loyal family pets for home and personal protection, as well as highly trained police patrol and scent-detection canines. 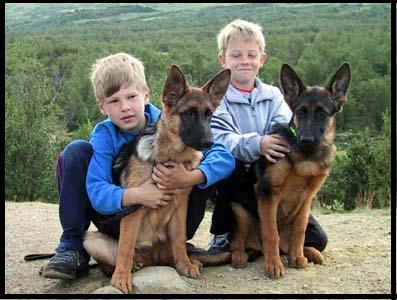 Our dogs are also trained for search and rescue & assistance-service dogs for the physically and mentally challenged. 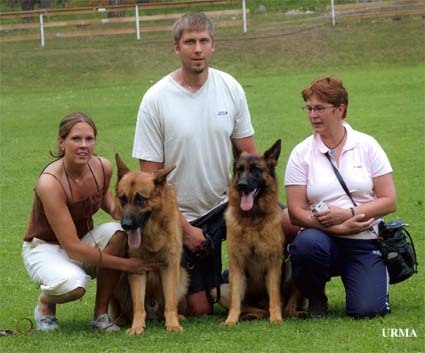 Our Mission is dedicated to enhancing the German Shepherd Dog breed by our Selective Breeding and Training Program that is designed to produce superior German Shepherd Dogs of proven reliability. 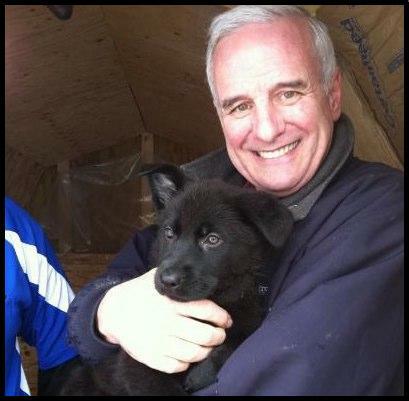 We are also dedicated to enhancing the quality of life to Minnesotans with disabilities by providing them with selectively bred and precision-trained German Shepherd Assistance Dogs that are carefully matched with their disabled owners, in order to significantly increase their mobility and independence as well as their social and emotional wellness. 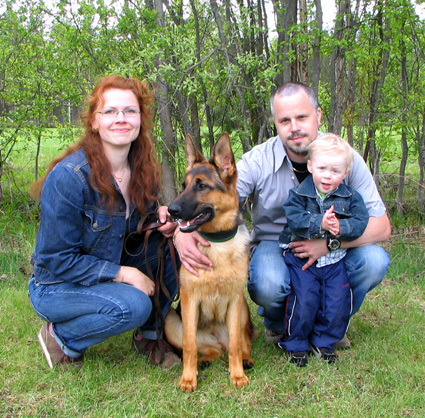 Being a former police officer who has worked with multi-specialized K-9 work dogs, and having sustained a work related injury, Our founder, has had first hand knowledge and experience of the emotional, physical and social benefits that a trained dog of proven reliability can provide to his owner or handler, also how much of an overall positive impact the relationship (or the team), can have on the person’s family and community. 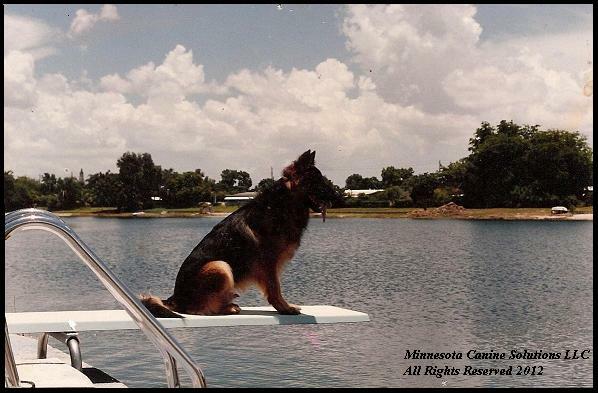 After a considerable amount of medical intervention, it was a dog that changed the course of his recovery. Rod likes to share his story with most everyone he meets about the dog named King that provided, and continues to provide him and his wife with virtually unquantifiable amounts of love, assistance, and loyalty. 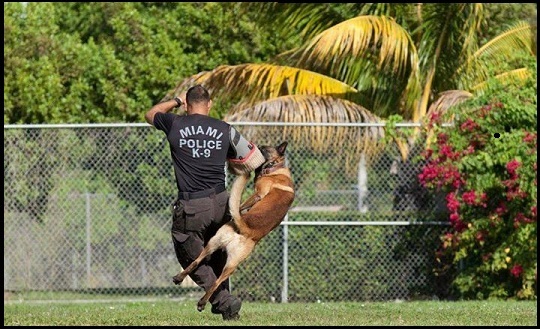 It was only after becoming a victim of crime himself that he realized how much of a deterrent a professionally trained protection dog in the right hands could be against criminals. Therefore, it became apparent that there would be no greater purpose in which he may serve, then to continue the development of increasing the potential of dogs that lovingly serve and protect people. Our Family has operated a Minneapolis-based family business since 1909. Our Kennel and Facility is AKC Inspected. 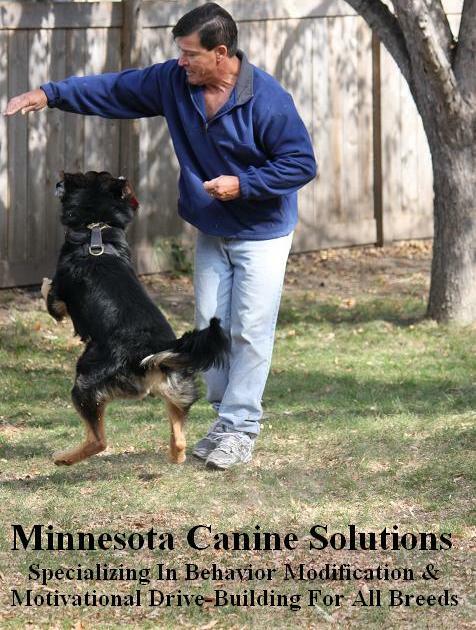 We use two of the most recognized and respected methods of dog and puppy temperment testing known in the industry. 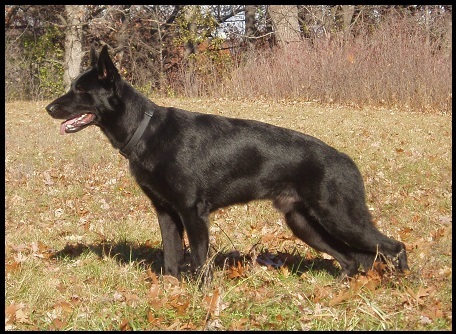 "Great training and wonderful dogs. Itasca our new puppy we got from you is doing great"! 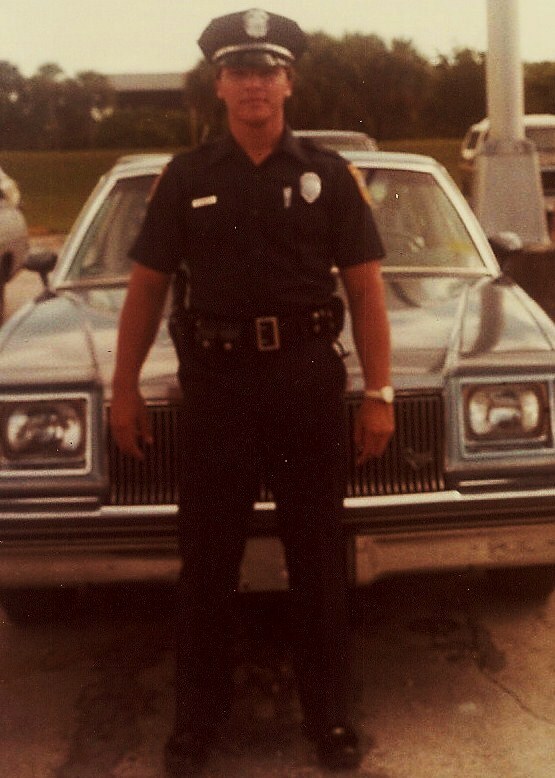 "May I take this opportunity to express my thanks for your outstanding training program and guidance. When we started, I was very discouraged and apprehensive about Rex's behavior towards strangers". "I now feel far more confident and in control of him, and have (thankfully) discarded the muzzle". "Zaya is doing fantastic with her greetings! Yesterday UPS surprised me and she went charging towards the door. I shouted "NO!" and she stopped dead in her tracks, turned to me and laid down until I arrived, reset in her "spot" and she stayed perfectly still while I received the package"! 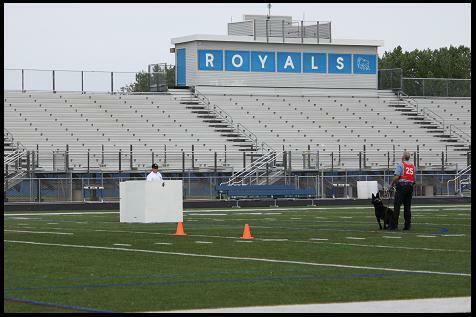 "Thanks so much for your work at the Woodbury Police K-9 Trials. You both went beyond any expectations that I had! We got tons of compliments". "I enjoyed meeting with you also. It is apparent you really know what you are doing.Thank you again for the comprehensive evaluation". "I wanted to thank you for the wonderful and insightful experience I had with you. 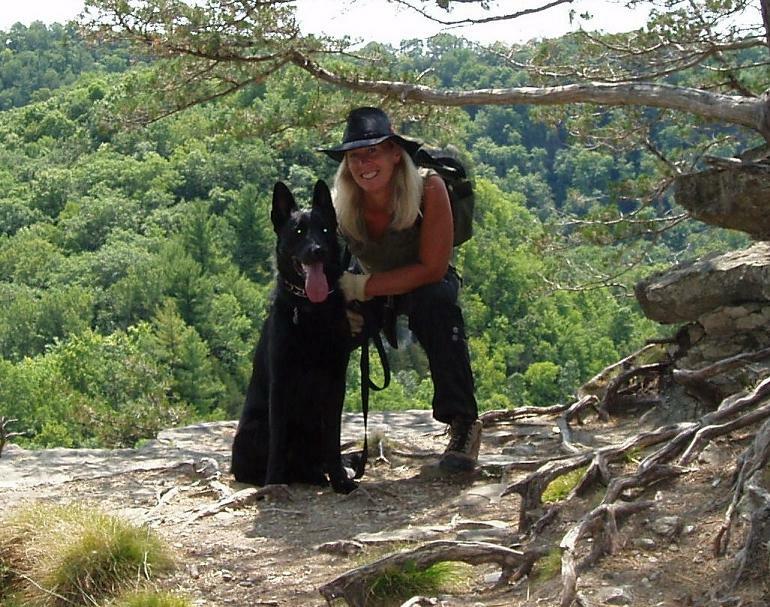 Your training sessions have taught me a great deal of new things, and a different way of looking at training my dogs". "Violet's lesson 4 was great. It allowed me to see how far she has come and how far her and I have to go". us. Watching Alyssa do the "homework" with Violet has been a real treat".